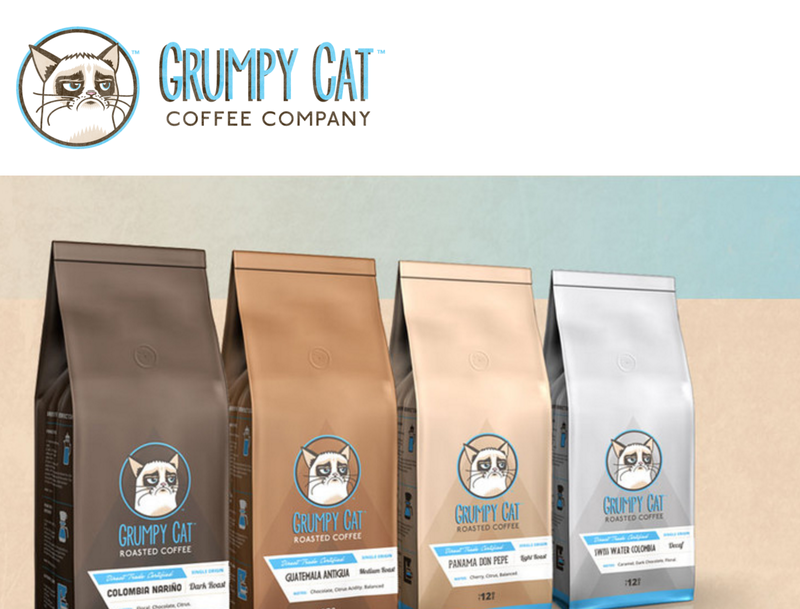 The disputed coffee bean products are now being sold on GrumpyCat.com, which is not run by the official Grumpy Cat. Grumpy Cat (real name: Tardar Sauce) isn’t just a feline with a perma-frown; it’s also the face of a multimillion-dollar merchandising brand. Now the sourpuss cat is involved in a legal dispute with a company that sells Grumpy Cat coffee beans. “Ironically, while the world-famous feline Grumpy Cat and her valuable brand are most often invoked in a tongue-and-cheek fashion, Defendants’ despicable misconduct here has actually given Grumpy Cat and her owners something to be grumpy about,” reads the beginning of an actual lawsuit [PDF] filed in actual federal court last week. The case involves a dispute between Grumpy Cat Ltd, the Ohio-based company that owns the rights to the the famous cat’s likeness, name, and a bunch of trademarks, and Grenade Beverage, a company that licensed the Grumpy Cat name and image for use on “a line of Grumpy Cat-branded coffee products,” in exchange for royalties and a cash advance. According to the complaint, the idea was for Grenade to produce and distribute a line of Grumpy Cat branded iced-coffee beverages called “Grumpy Cat Grumppuccino.” Anything beyond that, per the plaintiffs, would require further negotiations with, and approval from, Grumpy Cat Ltd. So when GCL recently found out that Grenade intended to sell Grumpy Cat coffee beans, it did not approve. In fact, according to the lawsuit, Grenade was told repeatedly that it could not move forward with the new coffee bean products. GCL also accuses Grenade of failing to provide accurate and timely accounting of sales and royalties, and selling unauthorized T-shirts with Grumpy Cat’s image. The lawsuit accuses Grenade of copyright infringement, trademark infringement and dilution, cybersquatting, and breach of Contract.